31 | July | 2015 | NOT IN MY WORLD!!!! More than 7,000 group homes and orphanages for children across the country pull in about $8.8 billion a year and employ almost 130,000 people, according to an industry report published last year by IBISWorld, a national research firm. More than 67 percent of this money comes from government contributions and grants. In South Carolina, the Department of Social Services spent more than $28 million in the 2014 fiscal year placing almost a quarter of all foster children in more than 90 group homes across the state. Before Boys Home of the South closed in 2014, the Department of Social Services paid the group home nearly $3 million in five years, but other group homes typically make much more. The Connie Maxwell Children’s Home in Greenwood made about $11 million in 2013 from several revenue sources, according to public tax records. Epworth Children’s Home in Columbia made $6.8 million. Thornwell Home for Children in Clinton made $8 million. This group home and its related organizations, affliated with the Presbyterian Church (U.S.A.), compensated its president $196,000 in 2013 — $90,000 more than Gov. Nikki Haley’s salary. Sue Berkowitz, executive director of the South Carolina Appleseed Legal Justice Center, said group homes make so much money because their interests are well represented by lobbyists and lawmakers. Group homes are entitled to make money, she said, but children have been hurt and she doesn’t think the state is doing enough to protect them. “We’re not doing what we need to do up front to figure out who needs to go where and how they should be placed,” she said. Some state leaders, including former Department of Social Services Director Lillian Koller, tried to reduce the number of children sent to live in group homes with limited success. 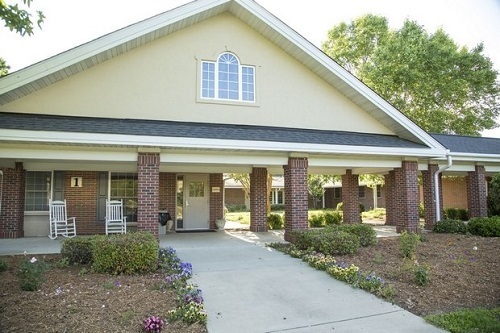 In 2009 and 2010, a handful of these group homes in South Carolina closed, and others were forced to scale back operations. These closures illustrated a national trend. Similar facilities in other states also shut their doors as the number of children in foster care dropped across the country and as federal funding and private donations dwindled. Best practices indicated children were better off living with families anyway. Koller supported this shift away from group homes. McKelvey estimated more than 500 group home “beds” in South Carolina were lost over a five-year period. Koller resigned last year amid political uproar that the agency was grossly mismanaged and that children were dying on her watch. Since then, some group homes in South Carolina have bounced back. McKelvey said Windwood is running at full capacity these days. All 15 group home beds at Windwood are filled with children in state custody. Paula Fendley, who represents many group homes in South Carolina as executive director of the Palmetto Association of Children and Families, said the whole Social Services agency needs reform. Group homes, which she estimates employ thousands of people in this state, aren’t the problem. HARRISBURG, PA – Regional statistics in Pennsylvania’s annual child abuse report, posted on the state Department of Human Services website Monday, indicated 66 reported cases were never investigated because case workers missed the 60-day deadline. Carlisle attorney Jason Kutulakis has dedicated much of his career to fighting child abuse and was on the task force that recommended changes to the state’s child abuse laws. He found the number alarming. “It may be 66 perpetrators that have not been properly identified, that have the ability to apply to work in environments with children. They will go to get a clearance and appear to be without any history,” Kutulakis said. A few days after the report was posted, Kutulakis noticed the number had changed. A spokeswoman said the department noticed the error on Tuesday and corrected it immediately. Other child abuse prevention organizations have raised concerns about the accuracy of the entire report. Gillis said the department will post a notice on the website to acknowledge the mistake.